One of the most wonderful things about Tofu is it's ability to soak up any flavor it comes in contact with. That and it's ability to take on a variety of textures. 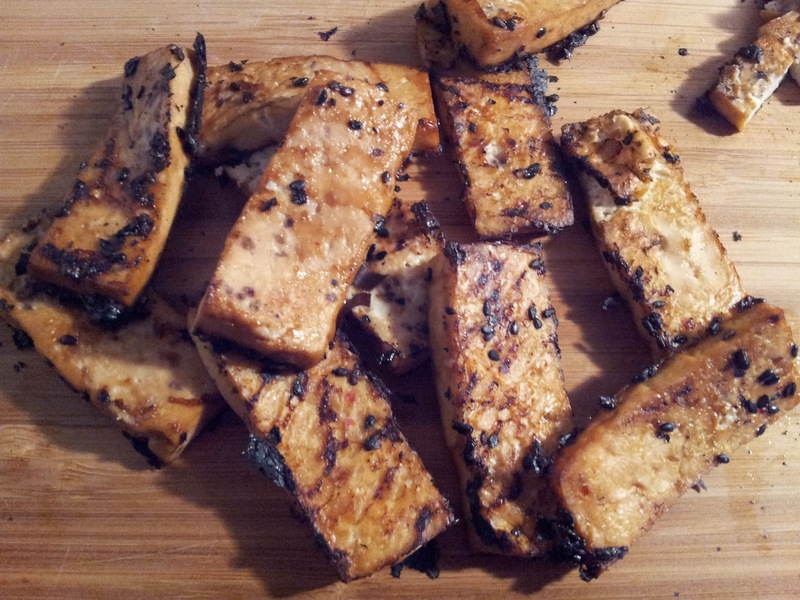 One such texture is the crispy outside and chewy inside that is achieved through broiling or baking Tofu. Broiling is the same concept as baking, but at a fraction of the time. Below is a very basic marinade that can be doctored up with anything your taste buds desire.